Do not make Ryan Braun angry. You won’t like him when he’s angry. 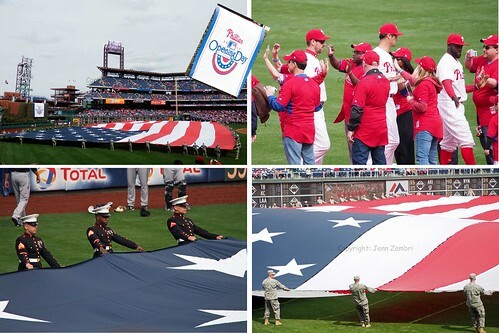 The Phillies found that out the hard way during Tuesday’s 1-day delayed Home Opener. First it rained (Monday), then it poured (Braun). Of course, for the umpteenth, the Navy parachuters jump was cancelled due to wind. I seriously do not know why the Phillies bother scheduling this every year. It almost never happens. And then the game started and it was all downhill from there. In his typical inconsistent behavior, Kyle Kendrick followed up a good 1st start with a horrible one on Tuesday. Adding insult to injury, he pitched against former Phillie Kyle Loshe and gave up the first 2 of Braun’s 3 home runs. A former All-Star, Braun is actually best known for his steroid use and overall bad behavior. He got away with a positive test by blaming the Fed Ex man, who was then fired from his job after Braun’s adamant denials. But then Braun did finally get caught afterwards and was suspended 65 games. The number of people Braun hurt with his lies is what makes him, in my opinion, one of the worst offenders in baseball. It is also what prompted all of the boo’s and chants of “Cheater!” throughout the ballpark. But those chants did nothing but fuel Braun’s fire to beat the Phils. He even killed a Phillies rally in the 2nd inning with a diving catch in right field that would have scored 2 runs. 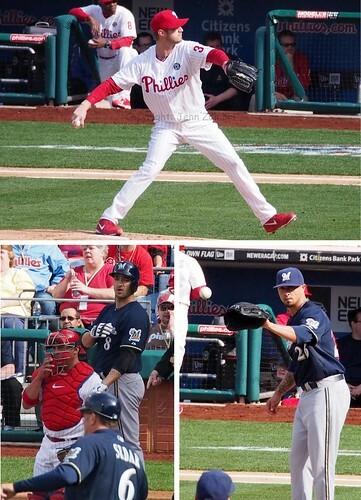 The Phillies did manage to scatter some hits throughout the day and made a few nice plays in the field. That misplay put another run on the board for the Brewers. Then in the next inning, Braun hit his third homer of the day. He finished with 7 RBI and single-handedly crush the Phils. I seriously hope someone checked his urine after the game (insert your own sarcastic remarks here). The 4-10 loss was a disappointment, to put it mildly. But today is another day and maybe the Phillies can bounce back with a strong start from Roberto Hernandez. Game time is 7:05pm. Here is the full Photo Album from the Home Opener, including batting practice, pre-game festivities and more. I’m Back – Can the Same Be Said for the Phillies? After a very long vacation from blogging, I’m back. I have just a quick list of excuses for my absence. For starters, I have experienced a complete life “do-over.” After some hair-raising experiences including the deaths of 3 friends/family, I changed jobs, relationships, bought a house and am going back to school to work on my Master’s degree. Change is good. Trust me on this one. Change for the Phillies thus far this offseason, however, has been minimal. It was less change and more resurrecting history when the Phils signed Marlon Byrd, Bobby Abreu (minor league deal), Larry Bowa (bench coach) and Charlie Manual, rehired as an advisor. Not to mention dumping Chris Wheeler and Gary Matthews in favor of Matt Stairs and Jamie Moyer in the broadcasting booth. And don’t forget Mike Schmidt on air for Sunday games. It’s a reunion! Did you realize there are now no less than 4 Phillies managers back with the 2014 team? The current manager, obviously, is Ryne Sandberg. Former managers on staff also include Manual, Bowa and Dallas Green (front office). That is incredible. If you want to be with a team for life, sign with the Phillies! Of the few moves the Phillies did make this offseason, I actually like the return of Marlon Byrd. He did well with the Pirates last year, he has been open about his previous suspension and above all, he has something to prove. I love his attitude so far and he appears to have at least brought some smiles back to camp. Beyond that, not much stands out. Ryan Howard has proclaimed his perfect health. That is nice, but we will have to wait to see if results follow. Howard will be under even more pressure this year now that he and the team are adamant that he is 100%. If he falters early, I shudder to think of the reaction from the press and the fans. They will tear the Big Piece into little pieces. I do not envy his position. I have begun counting the days until the first real pitch of the season to see what this team really has to offer. Is the winning team back or just a rerun of last year? More thoughts on Spring Training to come…stay tuned. While I have never been a Rockies fan, it does not matter what uniform Jamie Moyer puts on. I will always root for him. At 49-years old, Moyer is lined up to become the oldest pitcher in history ever to win a major league game when he faces the Astros tonight. He is already the oldest starting pitcher to make an Opening Day roster. 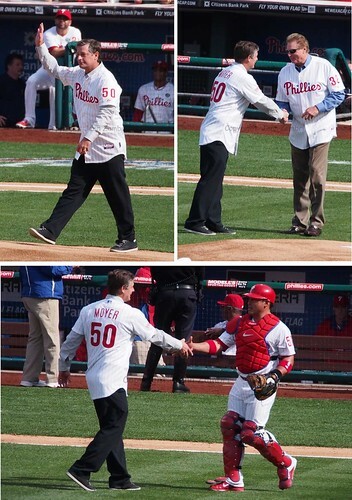 Despite having already accomplished the ultimate goal of winning a World Series with the Phillies in 2008, Moyer still presses on. Why? My guess is because he can. And because he has a passion and love for the game of baseball that drives him to continue. The 2010 baseball season was full of surprises. Had he been alive today, even Nostradamus would not have seen some of this coming. There were bright beginnings and fond farewells, remarkable performances and unwavering determination. Some moments were exhilarating and some were heartwarming. In short, 2010 was an amazing year to be a baseball fan. The following is a collection of the best, most memorable and most inspirational events that took place both on and off the baseball field in 2010. 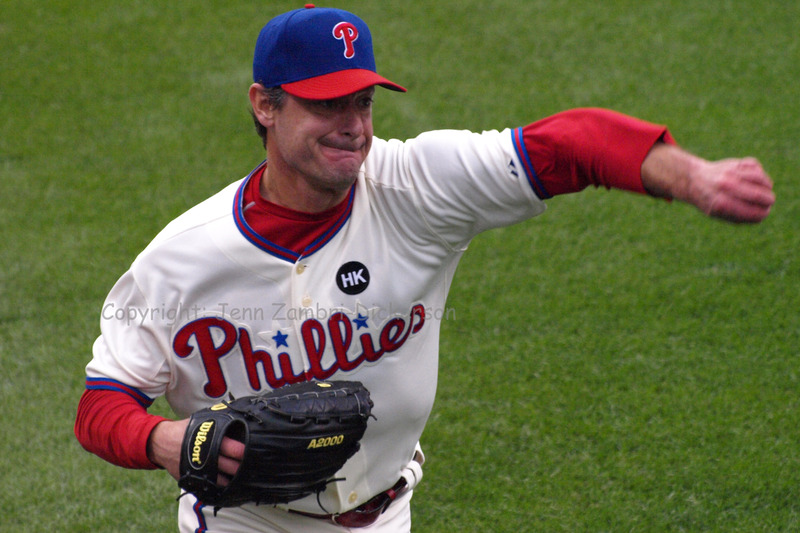 On May 7, 2010, Jamie Moyer became the oldest player in history to ever throw a complete game shut-out when he blanked the Atlanta Braves in a 7-0 victory. With a fastball that tops out around 83 miles per hour, Moyer allowed only two hits to a stunned Braves team. In doing so, Moyer defeated both a division rival and Mother Nature. For years, fans have witnessed Moyer bathing in the proverbial Fountain of Youth, all the while asking themselves one question. Will Moyer ever stop pitching? Coming into the 2010 season, Moyer had battled through three off-season surgeries plus multiple hospital stays due to complications and infections. Despite being knocked down in nearly every way possible, the determined Moyer keeps getting right back up again. This off-season, Moyer went through Tommy John surgery which will keep him out of the entire 2011 season. Even so, Moyer plans on making a return to baseball. He will be 49 years old going into the 2012 season. With a combined total of almost 3,000 games between them, both Mike Sweeney and Michael Young had never tasted the playoffs until this year. Add to that 11 combined All-Star Game appearances, two Marvin Miller Man of the Year Awards for charitable work, and each player has also received nominations for the Roberto Clemente Award for community involvement. 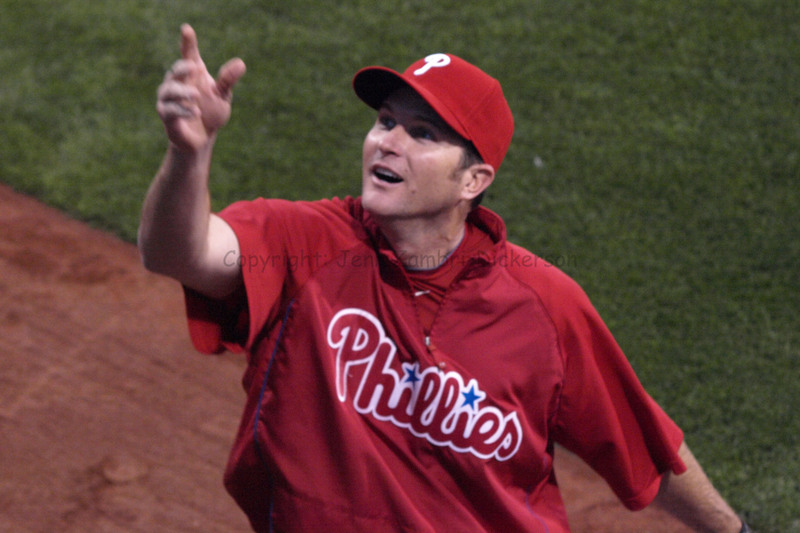 A 15 year veteran, Sweeney joined the Philadelphia Phillies part way through the 2010 season. He made an instant impression on fans, teammates and coaches with his exuberance, positive attitude and unwavering love for the game. Sweeney’s 1,451 playoff-free game streak came to an end when the Phillies appeared in the NLDS. In Game 2, Sweeney stepped to the plate for his first and only playoff appearance. He made the most of it with a pinch-hit single in the seventh inning. Prior to that, Sweeney also tasted celebratory champagne for the first time right after the Phillies clinched the NL East division title. The entire Phillies team waited in the locker room for Sweeney, plus other playoff-free veterans Roy Halladay and Brian Schneider, before opening the bottles. All three players popped the corks at once to begin the celebration. Michael Young found himself in a similar situation, having played 1,503 games without a playoff appearance. All 11 of his years in the majors were spent with the Texas Rangers, who finally made the playoffs this year. And although they made it to the World Series, they were beat by the San Francisco Giants. Young batted .254 with one homer and seven RBI throughout the 2010 postseason. And although he did not get a ring, Young’s playoff-free streak is over and that has to be a relief. Just ask 13-year veteran Randy Winn who has played in 1,717 games and is still waiting for his playoff shot. Logan Morrison was finally called up to the Marlins on July 27 to play left field. For medical reasons, his father would be unable to fly to see him play. But that was not going to stop a very determined father. By the end of August, Tom Morrison was well enough to travel 29 hours by train from his home in Louisiana to New York. Logan went 1 for 5 that night against the Mets and the following day, father and son were able to celebrate Logan’s 23rd birthday together. Logan had three hits that night, including his first career triple, and he scored two runs. Earlier in 2010, another father-son story made headlines. Widely respected as one of the nicest people in baseball, Toronto Blue Jay John McDonald missed nearly a month of baseball while caring for his sick father. Suffering from liver cancer, his father passed away in mid-June. McDonald returned to the team on June 19th, only a day removed from the funeral. But knowing that Father’s Day was that same weekend, McDonald felt that his father would have wanted him to play. A utility man, McDonald saw little playing time with the Jays. But that Father’s Day, he was called to pinch hit in the 9th inning of a blowout loss to the Giants. McDonald sent the second pitch he saw out of the ballpark for a 2-run homer. He pointed to the heaven’s as he rounded the bases to honor his father. Prior to that day, McDonald was not known for hitting home runs. In fact, in the prior 11 seasons, he hit a total of 13 homers. But after the Father’s Day home run, McDonald hit a total of 6 home runs in just the one season. Three players that no one wanted joined the Giants on minor league contracts this year and wound up having a huge impact on the team’s roller coaster ride to the World Series Championship. Pat Burrell, Juan Uribe and Andres Torres were not high on anyone’s list. But the Giants, already a team of misfits, took a chance on these players and it paid off. Burrell had an awful time in Tampa Bay after winning the 2008 World Series with the Phillies. Unable to adjust to the designated hitter role, the Rays sent him packing in May. By June, Burrell found himself with the Giants after only five games in their minor league system. In the final months of the 2010 season, Burrell added power to the Giants line-up, smashing 18 home runs and collecting 51 RBI. Pat “The Bat” became an integral part in the Giants push for a World Championship. Second baseman Uribe signed a minor league deal in the 2009 offseason and by April that year, he had made the team’s roster. That led to a one-year contract for 2010 where Uribe hit 24 homers and added 85 RBI, a career high in both categories. After two years as a major leaguer, Andres Torres was sent back to the minors in 2004 where he languished for almost five entire seasons. But in 2009, the Giants gave Torres a second chance and signed him. In 2010, Torres had a career year, batting .268 with 63 RBI and 26 stolen bases. He took the center field job away from veteran Aaron Rowand and did not look back. In the World Series, Torres batted .318 with a homer and 3 RBI. In the land of misfits, the Giants reign supreme. And in 2010, they reigned supreme over all of baseball. Looking at Brian Wilson with his floppy mohawk and jet-black dyed beard, one does not imagine that there lurks a serious ballplayer. But underneath the scruff, a mad genius may very well lie. Despite his erratic behavior off the field and odd collection of 300 plus bullpen warm-up balls, Wilson is all focus on the mound. It is exactly that intensity that makes him a great closer. Wilson put up career numbers in the 2010 regular season with 48 total saves in 53 attempts and a stifling 1.81 ERA. His 48 saves rank first among all closers in 2010. On August 24, 2010, Roy Oswalt became the first Phillies pitcher in 39 years to play a field position. In the 14th inning, the Phillies ran out of players when slugger Ryan Howard was ejected for tossing his bat and helmet after being rung up on a check swing. Oswalt volunteered to take over in left field while Raul Ibanez moved to first to replace Howard. Sprinting to the outfield with a child-like grin on his face, Oswalt relished the ovation from excited fans who boisterously expressed their appreciation. And as luck would have it, the very first pitch after the switch went straight to Oswalt. The crowd summoned a collective gasp as the fly ball neared the rookie outfielder. But then cheers erupted as Oswalt made the catch and was smiling from ear to ear, enjoying the moment. The wackiest and possibly the most amazing defensive play of 2010 came without delay on Opening Day. White Sox pitcher Mark Buehrle used multiple body parts to rob the Indian’s Lou Marson of a base hit. The comebacker to the mound was slowed by a kick from Buehrle’s foot. He then ran the ball down near the first base line and flipped the ball, backwards and between his legs, to first base for the out. You can watch this video clip 50 times and it never gets old. For the first time since 1996, the National League came out on top of an All-Star Game on July 13, 2010. Phillies manager Charlie Manuel told the press before the game that he was determined to bring the National League a win, expressing the importance of home field advantage. Manuel led his group of All-Stars and pitching ruled the day. Pitchers Ubaldo Jimenez and Josh Johnson pitched two scoreless innings each. Closers Heath Bell, Brian Wilson and Jonathan Broxton contributed as well. In total, nine National League pitchers held the American league to just one run. The big blow for the National League came off the bat of Braves catcher Brian McCann. Smashing a 3-run double in the seventh inning, McCann provided all the offense that the win-starved National League needed. In 2010, the home run crowd did not belong to Josh Hamilton, Albert Pujols or even Mark Teixeira. Instead, a guy who has never hit more than 16 home runs in a season more than tripled that total and came out on top. In his seventh year in the majors, Bautista stunned the baseball world by smacking an insane total of 54 home runs this year. That is 12 more than the next highest total, which is 42, hit by Albert Pujols. That is also 38 more homers than he has ever hit before in a single season. Bautista also landed in third place overall in RBI’s, slugging percentage and on-base plus slugging percentage. This right-handed outfield will also take home a Silver Slugger award for 2010. Whatever Jose Bautista has been drinking, please pass the cup. On July 13th, Major League Baseball lost one of its giants after the passing of George Steinbrenner at 80-years old. Steinbrenner was the principal owner and managing partner of the New York Yankees for the last 37-years. Love him or hate him, Steinbrenner revolutionized the business of baseball. He became the first team owner to sell TV cable rights and also turned the Yankees into the first professional sports franchise to have an estimated worth of over one billion dollars. Despite his outspoken attitude and penchant to arouse controversy, Steinbrenner led the Yankees to seven World Series titles and 11 American League pennants. As a tribute to Steinbrenner’s impact on both the baseball world and the Yankees in particular, a seven-by-five-foot, 760-pound monument of bronze was erected in his honor. Located in Yankees Stadium’s Monument Park, the gigantic plaque was unveiled on September 21, 2010 during a moving ceremony attended by many Yankees legends. On July 10, 2010 the veteran Roy Halladay and the rookie Travis Wood, making only his third major league start, staged an epic pitching duel. Halladay threw nine dominant shut-out innings against the Reds, striking out nine batters and still not earning a win. Wood took a perfect game into the ninth until Carlos Ruiz broke it up with double to left-center. Wood also did not record the win. After being lifted for a pinch hitter in the 10th inning of this scoreless game, Wood sat watching from the bench as Carlos Ruiz struck again. 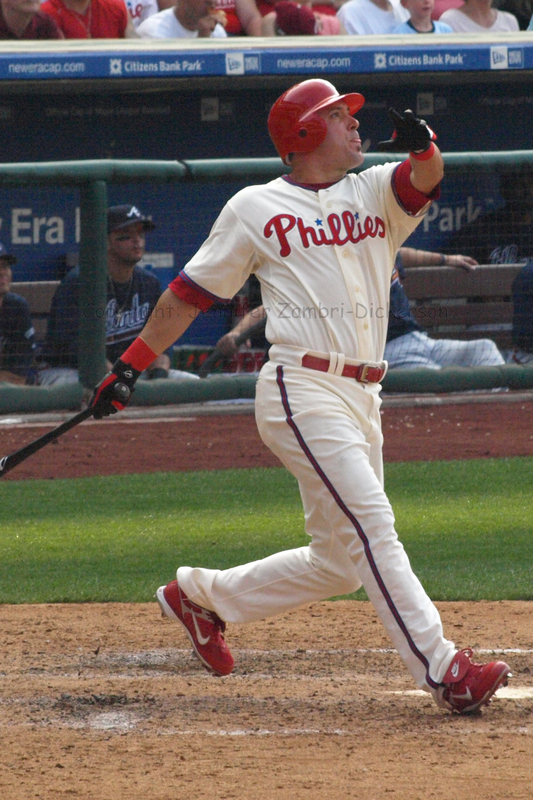 Ruiz won the game for the Phillies with a one-out double in the 11th that scored Jimmy Rollins. This walk-off, extra innings victory marked the third consecutive extra-inning walk-off win for the Phillies over the Reds in the four-game series. 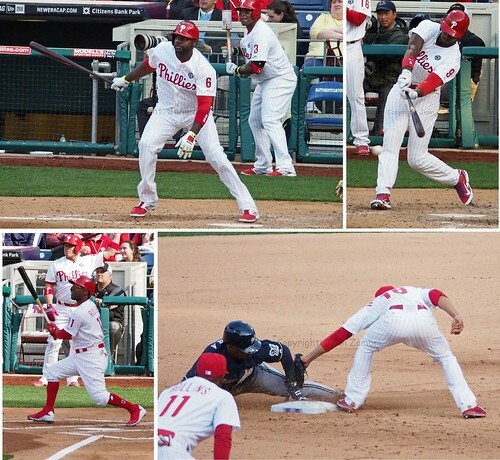 It also marked the very first time the Phillies had won three consecutive extra-inning games in walk-off fashion. The extra-innings fireworks may have slightly overshadowed two major pitching performances by Halladay and Wood, but looking back, the battle is unforgettable. It was a good year in baseball to be a rookie. Just ask Jason Heyward, Starlin Castro, Mike Stanton or Daniel Nava. Braves rookie right fielder Jason Heyward took the third pitch of his major league career in his first at-bat directly over the fence in right for a colossal 476-foot home run. Heyward ended his rookie season hitting .277 with 18 homers and 72 RBI. In his first game with the Cubs, Starlin Castro made history. Castro became the first player ever to record six RBI’s in his major league debut, hitting a three-run homer and a three-run triple in a 14-7 win over the Reds. Castro hit .300 for the year and stole ten bases. The Cubs anxiously await his sophomore season. For the Marlins, Mike Stanton had a less-noticeable rookie coming-out party due to a different rookie debut in a city nearby. The super-hyped rookie start of the Nationals Stephen Strasburg dominated the headline instead. But to his own team, Stanton did not go unnoticed. Against the Phillies in a 10-8 Marlins loss, Stanton went 3 for 5 while scoring two runs. At only 20-years of age, this rookie has some growing to do, but his future looks very bright. Finally, Daniel Nava of the Red Sox made a little history of his own. On June 12th, Nava became only the second player in Red Sox history to hit a grand slam in his first plate appearance with the team. And it was not only his first at-bat, it was the very first pitch he saw. Phillies right-hander Joe Blanton laid one down the middle and Nava did not miss it. After college, the only team interested in Nava was the independent league Chico Outlaws. The Red Sox took a chance on him and it paid off. Trevor Hoffman became the first pitcher in major league history to reach 600 saves with a 4-2 win over the Cardinals on September 7, 2010. It was a circus of game where the Brewers manager and centerfielder plus the Cardinals pitching coach and a fan in the stands were all ejected for various reasons. Despite the chaos, Hoffman nailed down the historic save by inducing a double play ball and then a grounder to short stop for the third out in the ninth inning. Hoffman’s three sons and all his teammates greeted him with hugs on the mound while the crowd gave a standing ovation. Hoffman spent 16 1/2 of his 18 years in the majors with San Diego, playing the final 2 years in Milwaukee. In his career, he has collected 601 saves. The next closest is Mariano Rivera with 559 career saves. Hoffman is currently a free agent. The Red Sox faced the Rockies in a rematch of the 2007 World Series on June 24, 2010. The Sox were able to pull out a 13-11 ten inning win over the Rockies thanks in part to their second baseman, Dustin Pedroia. At only five-foot nine inches tall and 180 pounds, Pedroia certainly does not look intimidating. But this three-time All-Star and 2008 MVP put a hurting on the Rockies that night. Pedoria went 5-5 at the plate with three home runs, a double, a walk, four runs scored and five RBI. In one game, Pedroia was able to raise his batting average from .280 to .293 with a slugging percentage over .500. Oddly enough, the very next day, Pedroia fouled a ball off the navicular bone of his left foot which essentially ended his season. He was put on the DL twice before finally having surgery. Pedroia is expected to make a full recovery and return to the Red Sox for the 2011 season. The 2010 season turned into a series of farewell’s with the retirement of three great managers, Lou Piniella, Bobby Cox and Joe Torre. All three left with winning records and six World Series rings between them. Lou Piniella, 67, spent his 23-year managerial career with five different teams including the Yankees, Reds, Mariners, Rays and Cubs. He won both a pennant and World Series title with the Reds and ended his career with a .517 winning percentage. 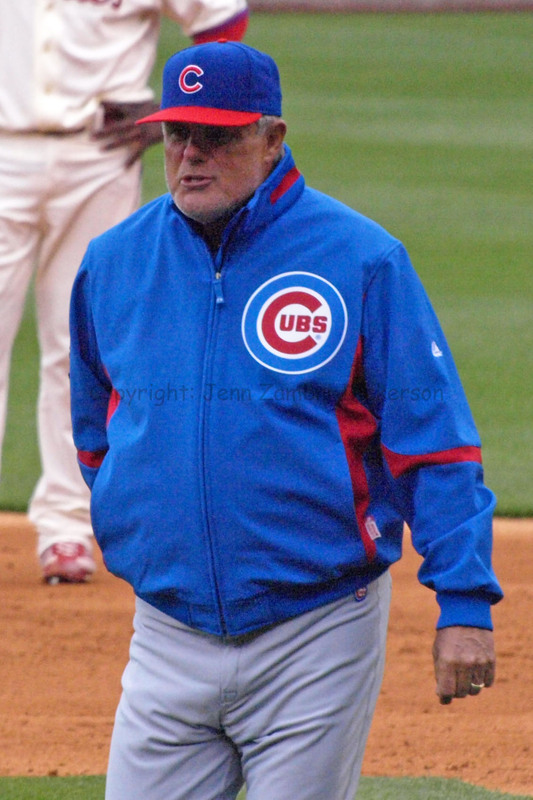 Piniella left the Cubs early in August of this year to tend to his ill mother. Bobby Cox, 69, spent 25 of his 29 years as a major league manager with the Atlanta Braves. The other four years, Cox managed the Blue Jays. Cox was named Manager of the Year four times while collecting 14 consecutive division titles, five pennants and one World Series title with the Braves. His .556 winning percentage ranks 13th best in history. When the Braves visited other cities this year, the opposing team chose to honor Cox before one of their games in the series. The only team to refuse to show their respect was the Florida Marlins. Joe Torre, 70, also spent 29 years as a major league manager with five teams including the Mets, Braves, Cardinals, Yankees and Dodgers. His six pennants and four World Series titles all came with the New York Yankees. Torre ended his career with a .538 winning percentage, although no one would be surprised if he comes out of retirement if a good offer is made. A recovering addict and former bad boy, many thought Josh Hamilton would never make it to the major leagues after his career was derailed by drugs in 2001. But Hamilton cleaned up his act and has been knocking the cover off the ball since 2007. Joey Votto had his own demons to fight as well. After the passing of his father in 2008, Votto fell into a deep depression and suffered from anxiety attacks that threatened to hurt his baseball career. But Votto, with the help of family and friends, sought treatment and overcame his illness. Despite their personal problems, both Hamilton and Votto emerged as 2010 MVP’s of their respective leagues. Hamilton ended the year with the highest batting average in all of baseball at .359, hitting 32 homers, collecting 100 RBI and was first in slugging percentage at .633. Votto had a similar year with a .324 average, 37 homers, 113 RBI and a .424 on-base percentage, the best in baseball. Overcoming all obstacles, Hamilton and Votto have succeeded both in their careers and in their personal lives. Having played 16 years and recording 6,342 minor league plate appearances, John Lindsey may have thought he would never see the major leagues. Despite hitting .353 with 25 homers and 97 RBIs for Triple-A Albuquerque in the 2010 season, this 33-year old first baseman seemed to be stuck in the minors. Finally, on September 8, 2010, Lindsey’s hard work paid off and he entered his first major league game with the Los Angeles Dodgers. With his entire family looking on, Lindsey got his first major league hit on September 12, 2010 against Houston Astros pitcher Nelson Figueroa. June 8, 2010 marked a big day for the Washington Nationals. Having pitched only 11 games in the minor, fans were anxious to finally see the much-hyped 21-year old Stephen Strasburg with the 95-98 mile-per-hour fastball. Some went so far as to say it would be the greatest debut of any major league player since the draft started in 1965. Strasburg did not disappoint. In seven innings, Strasburg struck out 14 batters, which was the third most in history for a major league debut. He also did not walk a single batter, which in a debut, had never been done before. In fact, only five other pitchers since 1900 have had a 14-strikeout, zero-walk game in any game, in which they pitched seven innings or less. Strasburg’s rookie season was cut short after a game against the Phillies on August 21, 2010. He was diagnosed with tear in his ulnar collateral ligament and underwent season-ending Tommy John surgery in early September. Strasburg is likely to miss the entire 2011 season and not return until 2012. However, Strasburg did have success in the 12 games he pitched, ending his season with a 2.91 ERA and a 5-3 record. Unfortunately for the Nationals, they will have to wait quite a while to see how the rookie pitcher bounces back after surgery. A rare feat in baseball, hitting for the cycle is not something we see every day. Topping the cycle off with a walk-off homer is even rarer. But the Rockies center fielder did just that on July 31, 2010 against the Cubs. Gonzalez singled in the first inning, tripled and scored a run in the third inning and doubled in the fifth. He even added a sacrifice fly in the seventh inning. Finally in the ninth, Gonzalez smashed a solo homer to complete the cycle and win the game for the Rockies. It was only the sixth cycle in team history. Gonzalez finished his storybook season batting .336 with 34 home runs, 117 RBI and a slugging percentage of .598. His average was second best in baseball behind only Josh Hamilton and Gonzalez also landed fifth in RBI total. Brooks Conrad has had a pretty unremarkable three years in the major leagues. But Conrad made a name for himself when on May 20, 2010, he rallied the Braves past the Reds in the ninth inning with a walk-off grand slam. Down by a score of 9-3 against the Reds, the Braves entered the ninth inning with little hope of a comeback. In fact, if they did win, it would be the biggest comeback in team history. Pinch hitting in the ninth after the Braves scored to close the gap to 9-6, Conrad had the bases loaded for him with one out. Conrad swung and the ball just barely brushed the left fielders glove and snuck over the wall. This was only the 23rd time in baseball history that a walk-off grand slam overcame a three-run deficit and it was also only the second time it was done by a pinch-hitter. Conrad later said, “I’m lucky it got up and [I] hit it far enough.” Lucky or not, that hit sealed the greatest comeback in Braves history. The Rangers are not a team anyone expected to succeed in 2010. The season was off to a very rocky start with a few startling revelations. The previous offseason, their star player and recovering addict Josh Hamilton was discovered drunk in a bar right before 2009 Spring Training. To make matters worse, part way through 2010 Spring Training, it was announced that team manager Ron Washington, 57, had tested positive for cocaine during the 2009 season. An addict relapsing is not so unexpected. But a 57-year old manager dabbling with cocaine use is whole other monster. In spite of the admission from Washington, the Rangers chose to stick with their man. The drama continued in May when it was announced that the team voluntarily pushed themselves into bankruptcy in order to facilitate the team’s sale to a group of investors which included the team’s president, Nolan Ryan, for about $575 million. They even had to borrow money from the league at one point. But even with all the distractions, the Rangers kept on winning. By June, they had locked up first place in the division. And at the trade deadline, they added pitcher Cliff Lee to bolster their already strong rotation. Everything was going right for the Rangers. The end result was the Rangers first World Series appearance in the team’s 50-year history. Sadly, the San Francisco Giants outplayed the Rangers and they lost the series in five games. But having made it that far with so many things working against them is a feat they should all be proud of. 2010 was indeed the year of the pitcher. In one season, fans were treated to six no-hitters, two of which were perfect games and with one happening in a playoff game. The following is a breakdown of those six games in chronological order. 1: Ubaldo Jiménez, April 17th, Rockies 4, Braves 0 – The first no-hitter in Rockies franchise history was thrown by 26-year old Jiménez. Facing 31 batters, Jiménez walked six, struck out seven and his fastball reached 100 miles-per-hour three times during the game. A diving catch by center fielder Dexter Fowler saved the no-hitter in the bottom of the seventh. 2: Dallas Braden, May 9th, Athletics 4, Rays 0 – Braden’s mother passed away when he was in high school. It was only fitting then that his grandmother was in the stands on this very special Mother’s Day when Braden tossed a perfect game. Braden struck out three batters and 77 of his 109 pitches were thrown for strikes. It was only the second perfect game in Oakland Athletics history. 3: Roy Halladay, May 29th, Phillies 1, Marlins 0 – As it would turn out later, Halladay was just getting warmed up with this perfect game. With 115 pitches thrown, Halladay struck out 11 batters for the 20th perfect game in major league baseball history. For the team, it was just the second perfect game in Phillies history. 4: Edwin Jackson, June 25th, Diamondbacks 1, Rays 0 – Throwing the most number of pitches for any no-hitter in history with 149, Jackson walked 8 Rays in this battle. The Rays made history here as well. They became the first team since the 2001 Padres to be no-hit twice in a season, and the first team in history to be no-hit three times within a one-year span. This no-hitter was the second in Diamondbacks history. 5: Matt Garza, July 26th, Rays 5, Tigers 0 – Garza allowed only one base runner in this no-hitter which came on a walk in the second inning. He faced the minimum of 27 batters as the walk was erased by a double play. Garza became the first pitcher in Rays franchise history to toss a no-hitter. 6: Roy Halladay, Oct 6th, Phillies 4, Reds 0 – Only the second no-hitter in postseason play, Halladay made history with this gem. In Game 1 of the 2010 NLDS, Halladay missed his second perfect game of the year by allowing just one walk. When Tiger’s pitcher Armando Galarraga stepped on the mound against the Indians on June 2, 2010, he had no idea that his life was about to change drastically. Umpire Jim Joyce was equally unaware of the impending events. With two outs in the ninth, Galarraga had a perfect game nearly in the record books. But a ground ball by Jason Donald that should have ended the game turned into a disaster. Joyce called Donald safe, saying Galarraga was off the bag. The perfect game was ruined. Understanding the situation, Galarraga told the press, “Everybody makes a mistake. I’m sure he don’t want to make that call. You see that guy last night, he feels really bad.” To show there were no hard feelings, Galarraga decided that before the next night’s game, he would personally deliver the lineup card to Joyce. The gesture brought Joyce to tears as Galarraga gave him a supportive pat on the back. The Tigers gave Galarraga a cherry red Corvette in honor of his near-perfection and fans applauded Joyce for his honesty and obvious remorse. The exchange between these two men was the ultimate display of class and sportsmanship. It became a valuable lesson in humanity to all who witnessed the event and will not soon be forgotten. On October 6, 2010 in Game One of the NLDS, Roy Halladay made history. Having thrown 104 pitches and striking out eight batters, Halladay allowed just one base runner which came on a walk with two outs in the fifth. It was only the second no-hitter in postseason history. The first was a perfect game thrown by Don Larsen in the 1956 World Season. Multiple records were set with this amazing no-hitter. Halladay became the fifth pitcher ever to throw two no-hitters in one season. He also became the first starting pitcher in postseason history to out-hit the opposing team with an RBI-single. In addition, this was the first no-hitter thrown in Citizen’s Bank Park. One statistic in particular illustrates the magnitude of Halladay’s performance. Only two other times in the history of the postseason had any pitcher even taken a no-hitter into the eighth inning. Halladay’s 320 career starts were the most of any active pitcher who had never appeared in the postseason. 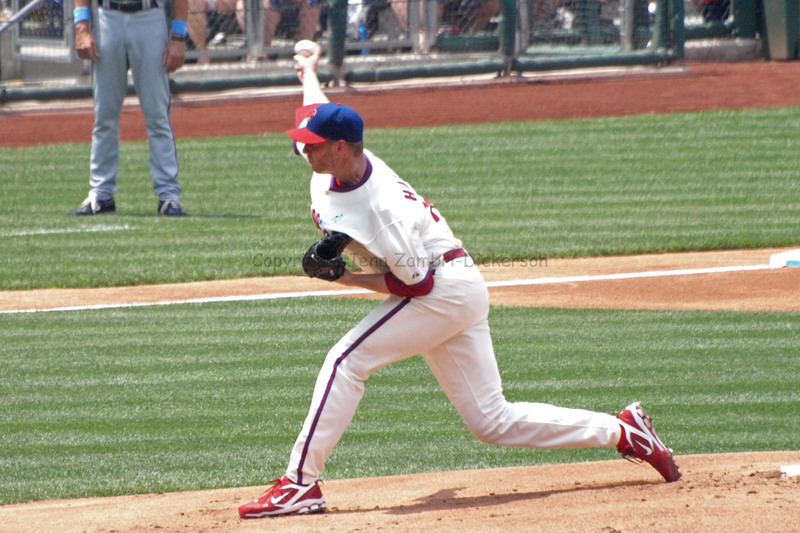 Deservingly, Halladay has been named the National League Cy Young winner for 2010. In the land of misfit toys, otherwise known as the San Francsico Giants, a great big, shiny trophy sits where once there was only doubt. Manager Bruce Bochy stitched together a team made out of spare parts and unwanted players and hiked with them to the very top of major league baseball mountain. The roster was mashed together with other team’s rejects, like Pat Burrell, Aubrey Huff and Cody Ross. Many players found themselves in the thick of things after originally signing minor league contracts, like Juan Uribe and Andres Torres, who spent almost 5 years in the minors before coming to the Giants. 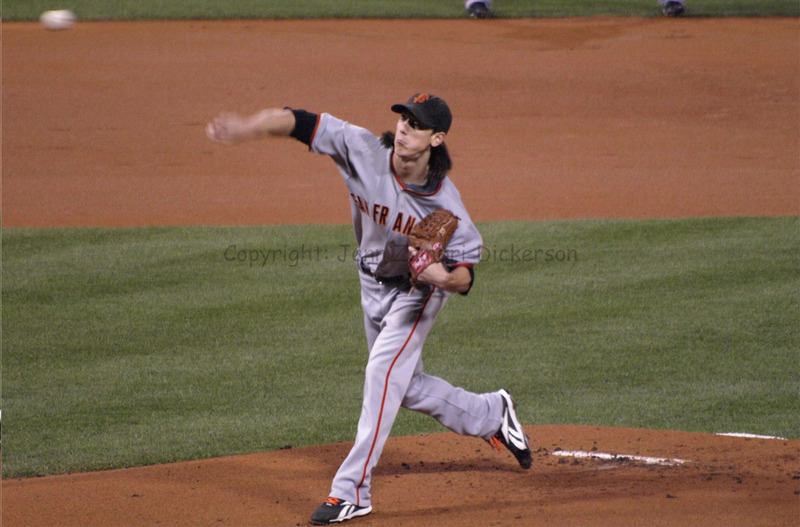 Their best pitcher, Tim Lincecum, was a guy no one thought would make it in the big leagues due to his small stature. But all these misfits came together and made things happen. Burrell hit 18 homers in the second half of the season. Lincecum is a two-time Cy Young winner. Huff batted .290 in the regular season and collected eight RBI in the playoffs. And Ross absolutely destroyed opposing pitchers in the postseason. His three home runs and five RBI in the NLCS against the Phillies earned him the series MVP award. And these are just a few examples of ways that the Giants made this Championship happen. Their pitching was dominant, their hitting was timely and manager Bochy made all the right moves. Not only did the Giants win the whole thing, they also took a franchise that was losing money every year and made a profit. Set to come out of the 2010 season with around a $5 million dollar loss, the World Series run turned the finances around into an estimated $7 million to $10 million dollar profit. There are now 29 other teams, heads held low, humming, “I Left My Heart In San Francisco.” And the Giants are the reason why. The 2010 Golden Glove awards have been handed out and the lone Phillie on the list was centerfielder Shane Victorino. In 143 games, Victorino committed only 2 errors and had 11 assists in the outfield. 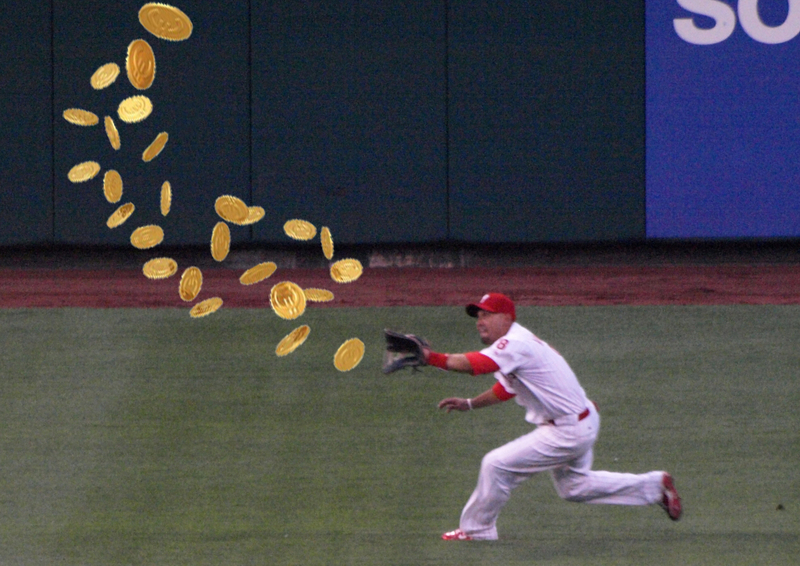 Catching gold has become a habit for Victorino; this is his third consecutive Gold Glove award. As for the rest of the Phillies, the one player who definitely got snubbed is third baseman, Placido Polanco. Polly had only 5 errors, turned 32 double plays and had 258 assists in 123 games this year. The player who actually won the award is ex-Phillie Scott Rolen whose stats are also good, but not nearly as good as Polanco. Rolen played 123 games, committed 8 errors, turned 28 double plays and had 259 assists. While it is not a huge edge, Polanco’s numbers are better. Rolen is a great player and this is his 8th Gold Glove award. But having played the same number of games as Polly, he was not as good. The remember also that last year, Polanco was a 2nd baseman and had to make the transition to 3rd. Add to that the elbow injury Polanco endured nearly all year long after getting hit with a pitch and his effort is much more impressive. We wish Moyer the best and hope he is well soon! Another thank you goes out today to all veterans who served our country and continue to inspire us all with their bravery and sacrifice. Happy Veterans Day! Earlier this week, the Phillies declined the option on JC Romero’s contract, thus rendering him a free agent. Romero can still return, but it would have to be at a price both parties agree on. Left-handed- relievers are not growing on trees, so hopefully, they can work something out. Romero’s control should be much improved next year as his arm, which was operated on last off-season, has more time to gain strength. As for Greg Dobbs and Jamie Moyer, it is likely the end of the line. Neither were offered contracts and both opted for free agency. Moyer missed most of this year with an injury and has had multiple surgeries between last off-season and this year. Add his age to that, 48 next month, and it may be hard for Moyer to find a new home. Moyer is a class act and I wish him luck. Today, Placido Polanco will have surgery on his elbow due to bone fragments and tendinitis, which he played with most of the year after getting hit by a pitch. The expected recovery time is 8-10 weeks, so he should be good to go by Spring Training. Polly hit .298 this year, despite playing through immense pain and enduring 4 cortisone injections. I cannot wait to see what he does when he is healthy. So, have you all been watching the World Series? Actually, it has been less of a series and more of a tar and feathering of the Texas Rangers so far. Cliff Lee got absolutely destroyed by the Giants in Game 1, allowing 7 runs over 4 2/3 innings. Before that game, Lee said about the Phillies, “I didn’t mind seeing them get beat, either, just because they got rid of me.” Call it baseball karma if you like. I admire the man for being honest, but the comments certainly did not help him on the mound. The Giants walked, lirerally, all over the Rangers again in Game 2 and won by a score of 9-0. The Rangers bullpen allowed 4 walks in a row in the 8th inning…that has to be some kind of World Series record. 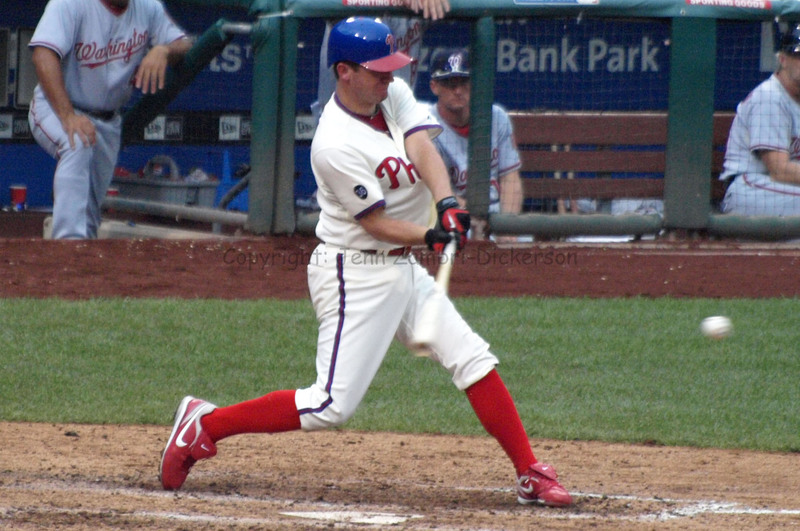 Former Phillie Aaron Rowand had a big hit in that inning after the walks with a 2-run triple. The Rangers are down 2 games to none; Game 3 is on Saturday. With Ryan Howard on the DL, the Phillies look to bolster their line-up by adding first baseman Mike Sweeney, 37. He comes to Philly from the Mariners for either cash or a player to be named later. 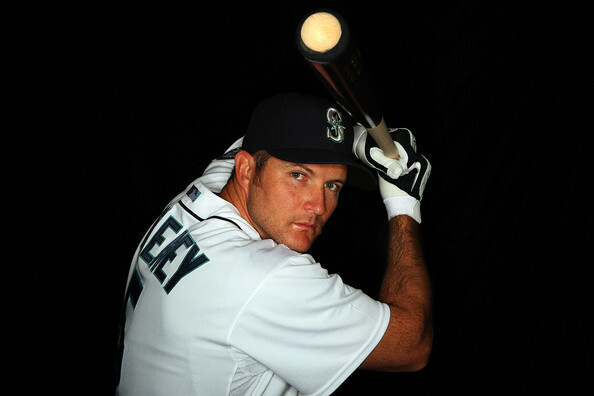 While Sweeney has not gotten a lot of work this year in Seattle, he is batting .263 with six home runs and 18 RBI in 30 games, including three starts at first base. Sweeney is a 5-time All-Star, having been selected each year from 2000-2005 while playing for the Royals, who drafted him in 1991. Sweeney set a Royals record for RBIs in a season with 144 in 2000. He is a lifetime .298 hitter with 901 RBI’s and 213 homers. Some more interesting notes about Sweeney: His wife, Shara, is the daughter of Jim Nettles and her uncle is Graig Nettles, both former major leaguers and brothers. There is also a Philadelphia connection; Sweeney’s first major league home run in 1996 was off of Phillies pitcher, Jamie Moyer.